As early as 1890 Darrow was a member, along with John Peter Altgeld, of the Iroquois Club in Chicago. It was formed to create "a substantial society in the form of a social club that should be representative of progressive democratic principles . . . ." Other members who would figure in Darrow's public were DeWitt C. Cregier, future mayor of Chicago, and Stephen S. Gregory, one time president of the American Bar Association. 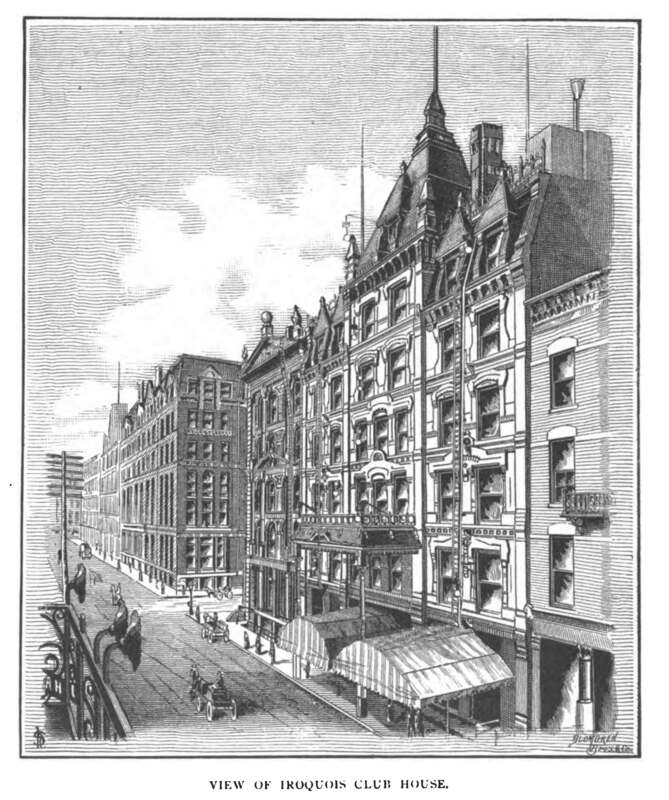 Picture from the History of Chicago (1886).